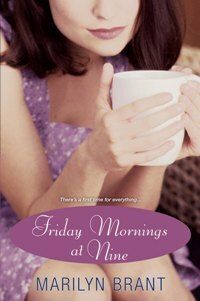 Marilyn is the New York Times & USA Today bestselling and award-winning women’s fiction author of ACCORDING TO JANE (2009), FRIDAY MORNINGS AT NINE (2010) and A SUMMER IN EUROPE (2011), all from Kensington Books. These stories have been featured in the Doubleday Book Club, the Book-of-the-Month Club, the Rhapsody Book Club and the Literary Guild. 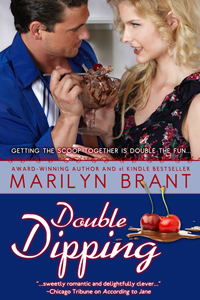 She’s also a #1 Kindle & #1 Nook Bestseller and writes original romantic comedies that are available digitally. 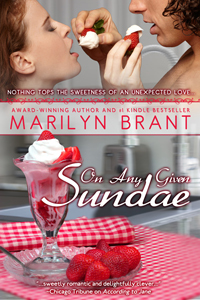 Her books, ON ANY GIVEN SUNDAE (2011) and PRIDE, PREJUDICE AND THE PERFECT MATCH (2013) were Amazon Top 100 Bestsellers and B&N Top 20 Bestsellers. Her newest novel, THE ROAD TO YOU (2013), was chosen by B&N General Fiction Book Club Moderator and Reading Frenzy Reviewer Deb Haupt as one of her Best Novels of 2013. 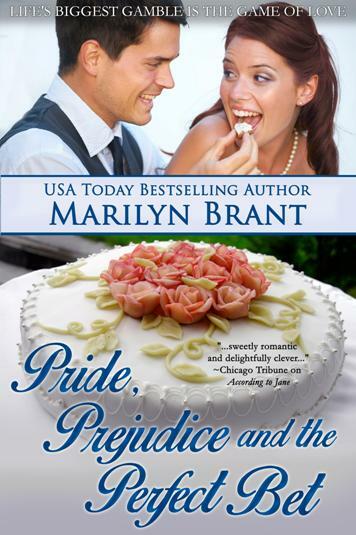 Her newest novel, PRIDE, PREJUDICE AND THE PERFECT BET is out in July 2014! As a former teacher, library staff member, freelance magazine writer and national book reviewer, Marilyn has spent much of her life lost in literature. She’s been told — and not always with the intent to flatter — that she’s “insatiably curious” and “a travel addict.” She admits to combining these two passions by taking classes in foreign countries whenever possible and, consequently, she’s been able to learn lots of fascinating things in Australia, in England, in Italy and in universities across the United States. She received her M.A. in educational psychology from Loyola University Chicago, dabbled in both fiction and art at Northwestern University, studied the works of Austen at Oxford University and is a lifetime member of the Jane Austen Society of North America. 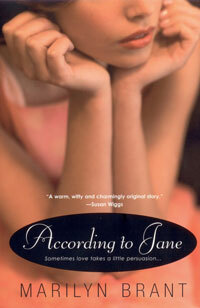 Her debut novel featuring “Jane” won the Romance Writers of America’s prestigious Golden Heart® Award. And in 2013, the Illinois Association of Teachers of English selected her as their Author of the Year. Marilyn has traveled to 46 states and over 30 countries (so far — she’s not done yet! ), but she now lives in the Chicago suburbs with her family. When she isn’t rereading Jane’s books or enjoying the latest releases by her writer friends, she’s working on her next novel, eating chocolate indiscriminately and hiding from the laundry. In Marilyn Brant’s smart, wildly inventive debut, one woman in search of herself receives advice from the ultimate expert in matters of the heart… It begins one day in sophomore English class, just as Ellie Barnett’s teacher is assigning Jane Austen’s Pride and Prejudice. From nowhere comes a quiet “tsk” of displeasure. The target: Sam Blaine, the cute bad boy who’s teasing Ellie mercilessly, just as he has since kindergarten. Entirely unbidden, as Jane might say, the author’s ghost has taken up residence in Ellie’s mind, and seems determined to stay there. Both think Lady Catherine’s Love Match Website will help them get what they want—fast, easy and without endangering their hearts. Both are in for a big surprise. Pride, Prejudice and the Perfect Bet – Out Now! 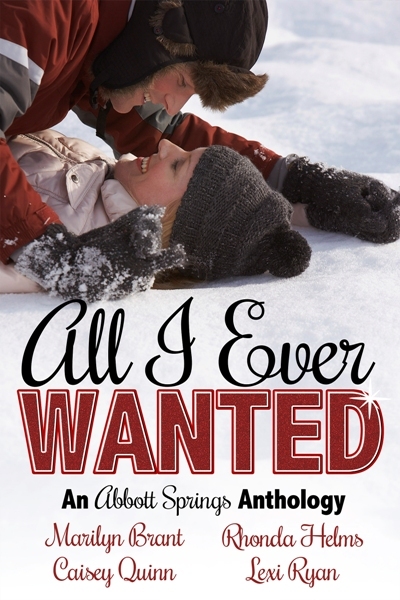 Everyone though Beth Ann Bennet and Dr. Will Darcy had an unexpected romance in Perfect Match. Well, Jane Henderson (Beth’s best friend) and Bingley McNamara (Will’s first cousin) begin their own unlikely love story in Perfect Bet, which starts at the Darcy/Bennet wedding, when they find themselves in the roles of maid of honor and best man for the happy couple. As for Bingley, he’s a wealthy, flirtatious and compulsively social financial guru, who likes to wager on stocks (and on just about anything that strikes his fancy). But this dedicated ladies’ man may have finally met the woman who’ll challenge his bachelor ways!